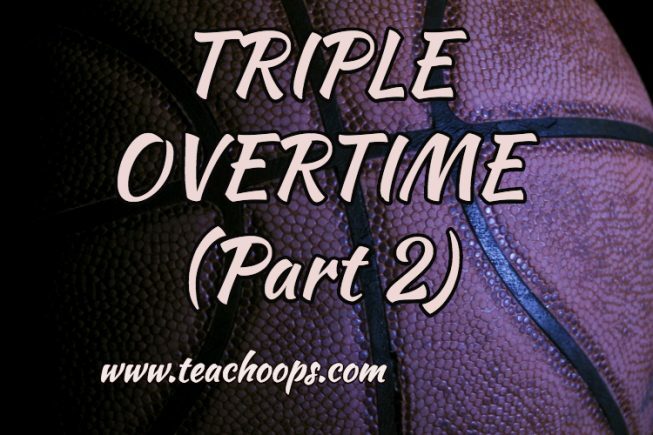 As the last of the final minute plays out, the beginning of the final possession is the perfect opportunity to catch your opponent off guard, and get out on the break as quickly as possible. 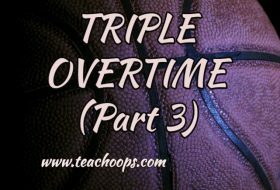 Make sure there’s at least 10 seconds left on the game clock, because anything less would most likely not allow enough time to rebound a miss, or recover from an unsuccessful fastbreak, which usually takes an average of 3 to 4 seconds to unfold. The shot clock must either be in sync with the game clock or turned off. Your opponent will often assume that you’re going to call an immediate timeout if one’s available. Regardless of how the possession is obtained, this assumption provides a great chance to quickly advance the ball while your opponent may simply be waiting for the whistle to blow. 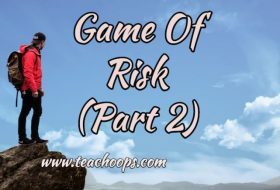 This strategy not only opens the door for a potential game-winning fastbreak opportunity, but also for some possible trickery in the process. Having your players casually approach the bench for what looks to be a timeout being called. 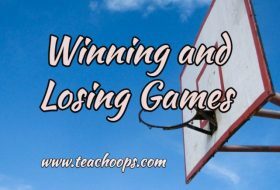 If your opponent appears to accept that a timeout has actually been called, it can often provide a virtually uncontested path for a deep leak-out, full court pass and layup. It seems quite risky, but is surprisingly safe, as long each player knows not to initiate the play if the defense doesn’t take the bait. The contingency plan would be to simply call an actual timeout, and not allow the defense any clues to what was in the works. This will preserve the play for the future. When all strategies for the final minute and the final possession have been either analyzed or applied. If the game is still tied, you still have the ball, and there’s still time left on the clock. The final shot is all that matters now. However, taking the final shot at the buzzer will not give you the best chance to win the game. It will only give you the best chance to go to overtime. Coach Herman Edwards, is that why we play the game? Most sports fans know exactly what his emphatic, yet hilarious response would be: “You play to win the game!”. The best chance to win the game is actually to shoot the final shot several seconds before the buzzer. Preferably something in the paint, or at least inside the 3 point line. Far too many regulation tie games go to overtime because the team with the ball let the clock run down too far, and had to settle for a 3 point attempt at the buzzer. 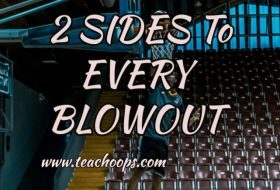 Instead of purposely letting the clock run down, use every single second of the clock to get as deep in the paint as possible. Take the final attempt with several seconds to spare, which will allow for the possibility of a quick put-back, or more. Sometimes it’s not the best drawn up play that works, but the one right after. So every time a team holds for the final shot, they automatically eliminate the chance of the one right after.